More than 40 young people have signed up to be among the first cohort of students at the Marches Centre of Manufacturing & Technology (MCMT) following the recent open day. The £4m state-of-the-art training hub in Bridgnorth threw open its doors to give young people, parents and employers the opportunity to see how they can benefit from this ambitious venture that will provide ‘2020 learning opportunities by 2020’. 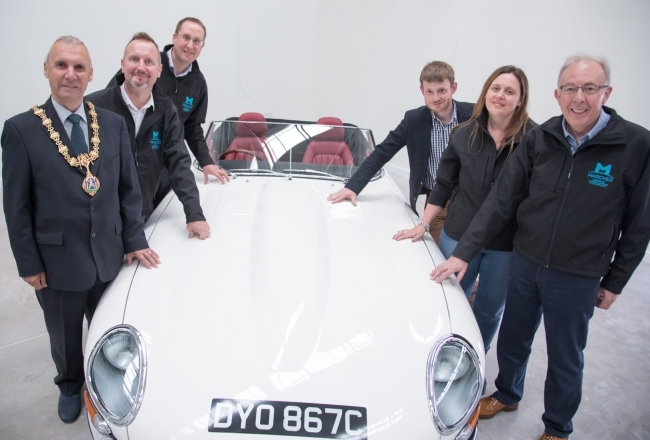 Ron Whittle, the Mayor of Bridgnorth, joined more than 500 visitors at the Stanmore Industrial Estate facility, which is being run by a consortium of Classic Motor Cars, Grainger & Worrall, In-Comm Training and Salop Design & Engineering. He praised the four employers for joining forces in a bid to start solving the county’s critical skills gap and commented on the scale of the MCMT and the amount of new technology that will soon be installed. “This was the first time we’d been able to showcase what we are doing in the nearly-finished building and the response was fantastic,” explained Matthew Snelson, Managing Director of the Marches Centre of Manufacturing & Technology. The Open Event was the first time people could look inside the vast 36,000 sq ft training hub, which used to be an old storage unit for Grainger & Worrall. There was 11 employer stands present, all keen to be matched with young apprentices looking to start their first step on the engineering and manufacturing career ladder. Some of MCMT’s key backers were also present, including ABB Robotics, Engineering Technology Group, FBC Manby Bowdler and Hexagon Metrology. Matthew concluded: “The building should be handed over to us in a few weeks and then we’ll have the job of kitting it out with up to £2m of technology and machinery. The Marches Centre of Manufacturing & Technology has received £1.9m of Government Growth Deal funding via the Marches LEP to bring the concept into reality, with £1.1m of private funding already pledged.